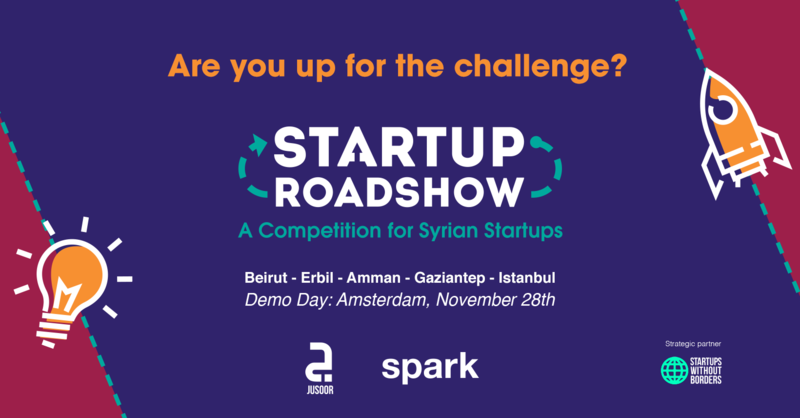 The Startup Roadshow, a competition for Syrian entrepreneurs in Turkey and the Levant region, is taking to 5 cities, from Amman to Erbil, to Beirut, Istanbul, and Gaziantep, to discover the next Syrian startup rockstars and equip them with the skills to shine. 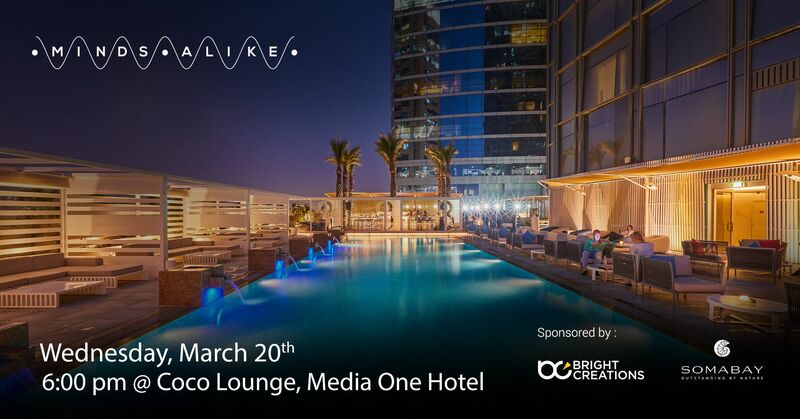 Today, the most promising Syrian entrepreneurs are not gathered in one place. They are valiantly envisioning the future in the most remote corners of the world, from Jordan to Lebanon, to Iraq. It’s time to unlock their talent. “We are very proud and excited to embark on this roadshow and competition, a first of its kind, in support of Syrians in their host communities. We hope to tap into the Syrian diaspora and find talented young entrepreneurs eager to become economic pillars in their present and future communities,” says Dania Ismail, Director of Jusoor’s Entrepreneurship Program. The competition, organized by Jusoor and SPARK, aims to lay the groundwork to inspire and support the creation of economic opportunities for Syrian youth by equipping them with the skills and tools to think about businesses and startups. With 5 stops in Turkey, Jordan, Lebanon and Kurdistan/Iraq, the roadshow will hold a series of 5-day bootcamps, to scout for the visionary, the bold, and the ingenious youngsters with the potential and the will to create new realities. At the end of the roadshow, two winning teams from each city will get the chance to pitch in a Startup Battle at the SPARKIgnite Conference in Amsterdam, for a chance to win up to $8,000 in financial prizes. “Through this project, we aim to contribute to the economic empowerment of Syrian Refugees in the region through entrepreneurship support. We expect that a group of 100 Syrian small businesses and startups to be empowered and their capacities built to be able to expand their work. This will be a role model to support entrepreneurs from refugees and other marginalized groups in Syria’s neighboring counties,” says Mohammed Skaik, SPARK’s Regional Entrepreneurship, and Economic Empowerment Manager. Kicking off on September 22nd in Beirut, the roadshow will train 20 teams of entrepreneurs in each location through 2 tracks: the Idea Stage track - for entrepreneurs who have not yet created a startup - and the Early Stage track - for entrepreneurs who have launched their business and are looking to raise investment or grow their business. Moving on to Erbil, the roadshow will train Syrian entrepreneurs in Iraq, to then move on to Amman on October 6th, Gaziantep on October 13th and Istanbul on October 20th. Two winning teams from each location will take to the global stage, as they get an all-expense covered trip to Amsterdam to pitch at the Startups Battle at the Ignite Conference, held on November 28th. 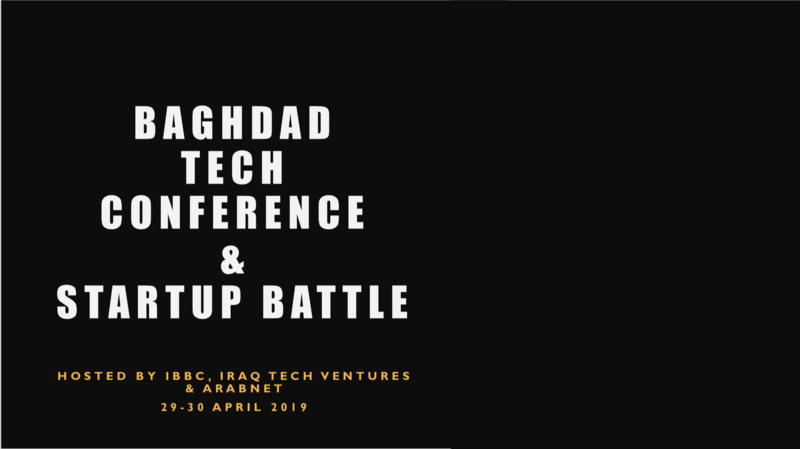 The competition is open for teams that have at least one Syrian founder and who have developed an innovative solution to an existing problem or are building a scalable business. Jusoor is an NGO of Syrian expatriates helping Syrian youth realize their potential through programs in the fields of education, entrepreneurship, and global community engagement. Since its launch in 2011, Jusoor has enabled nearly 500 university students to complete their degrees around the world. We have enrolled 3,500 children in our primary schools, giving them the gift of a basic education. We have employed 75 refugees in our schools in Lebanon, safeguarding a key part of the Syrian labor force and investing in refugee communities. And our entrepreneurship program has trained and inspired more than 130 Syrian youth. By investing in these children and youth, Jusoor is preparing a generation of change agents to be able to return to Syria and play a role in rebuilding every sector of society, from healthcare to education to business to governmental institutions. Jusoor’s work has been recognized by global institutions and has been honored with the Academic Freedom Award from the Middle East Studies Association of North America in 2015 and the Takreem Humanitarian and Civic Services Award in 2017. SPARK provides access to higher education and supports entrepreneurship development in fragile states so that young, ambitious people can lead their societies into stability and prosperity. SPARK provides a variety of full-service business and entrepreneurship programmes in Europe, the Middle East and Africa. We believe that sustainable, economic growth is essential for the alleviation of poverty. By offering private-sector development services to young people in conflict-affected regions, we believe that the potential for further conflict is significantly reduced. Startups Without Borders is a global platform connecting migrant and refugee entrepreneurs to opportunities and resources to build their businesses, wherever they are. 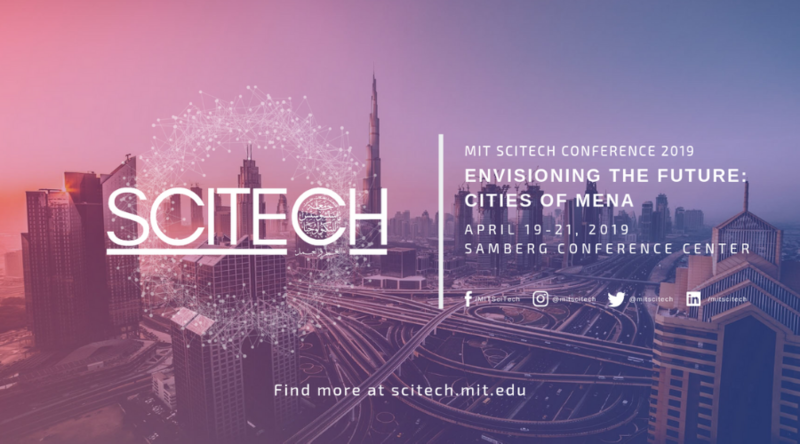 Launched in 2018 in Cairo, with hubs across European and Middle Eastern countries, the platform aims to build the startup ecosystem for entrepreneurs on the move, not only changing perceptions on refugees and migrants, but also crystallising a growing entrepreneurial trend amongst refugees and migrants.